Abi Elphinstone’s debut novel The Dreamsnatcher, published earlier this year by Simon and Schuster, moves at a breakneck pace. You’ve got to have your Weetabix to keep up with the adventures of Moll and Gryff, and no mistake. It begins with a spooky prologue, where we’re introduced to a shady circle of characters engaged in something altogether nefarious, and the dreadful punishment meted out on one of their number who refuses to ‘play ball.’ The spooky, almost slow-moving feel is ripped away in chapter one, however, as the story plunges us straight into the mind and life of Moll Pecksniff, the book’s dauntless heroine, as she struggles to fight her way out of a terrible nightmare. Every night, Moll is visited by a dream in which she hears drums and snares, and she feels a pull towards a nameless terror – and the dreams have been getting worse. When she wakes, far from home, and realises that the lure of the snare and the drum has made her sleepwalk straight into danger, she is afraid of the growing power of the dream. But she’s also brave and resourceful and pig-headed, in the best possible sense. Her beloved cob, Jinx, has been stolen, and she unhesitatingly ventures into certain danger in order to rescue him, leaving herself open to huge risk. Moll and her gypsy family live in Tanglefern Forest, in the part known as the Ancientwood. Another camp, headed by the witch-doctor Skull, lives in the Deepwood, across the river. It is to this camp that Jinx has been brought, and this is where Moll must go to get him back. But there’s more to Skull than mere horse-thievery; he is also a powerful witch-doctor, and it is he who has been calling to Moll through her dreams all her life. The closer she gets to his camp, the nearer she comes to his dangerous magic and the more thoroughly she gets wrapped up in his spell. But what is Skull’s link to Moll’s painful past, and why has he been trying, all her life, to entice her to come to him? There is a huge amount to admire in this punchy little story. Moll, whose green eyes set her apart from the rest of her gypsy camp, has lived with Oak and his wonderful (tea-towel wielding) wife Mooshie all her life, and has been raised with as much love as any of their natural children. However, she knows that her parents died when she was tiny, but has never known the true details behind their deaths until mid-way through this story, when their sad history is explained to her. Her sense of betrayal, and being lied to, is painful and palpable at first, but she soon recovers her sense of herself, knowing that her parents were true gypsies and people with great power, who loved her dearly. As she uncovers who she is, and who her parents were, the horrible reality of Skull’s desire to destroy her grows stronger and stronger and she must fight back with everything she has, including the newfound friendship of Alfie, a boy from Skull’s camp whom she isn’t sure she can trust – but who works hard to prove his loyalty and courage. I loved the relationships between the characters, the symbiosis with which they all live in the woods, the details of their gypsy lifestyle, their love for nature and their animals, and the unbreakable bond of family and loyalty and clan which tie them all together. It’s a true ‘all for one, one for all’ scenario. When Moll is threatened, the whole camp closes protectively around her, and that was beautiful. Sometimes it threatens to take the narrative focus off Moll herself, and I did feel at times that she was being kept out of the heart of the action as others fought for her, but she’s a fearless, generous and loving character nonetheless. The real strength in the book is in its characters, who are fabulously well imagined – at least, the members of Moll’s camp. Skull’s henchmen tend to blend a little, but that is the nature of henchmen the world over! Oak and Mooshie are wonderful, as is Alfie and Cinderella Bull and Siddy, Moll’s best friend (though it was his pet earthworm, Porridge the Second, who really stole my heart), and Moll’s relationship with her beloved wildcat Gryff, who – though he’s shown at all times as a wild animal, one who does his own thing and comes and goes of his own free will – is always a steadfast companion to Moll and his connection to her is deep, mysterious and moving. Near the book’s end he’s involved in a dangerous scene which had me crossing my fingers as I read, which really showed me how much emotion was invested in this quietly powerful animal character. There are puzzles strewn throughout the book, and rhymes which are packed with clues, which should entice and intrigue any 9-12 reader, and the tinges of supernatural goings-on intermingled with the very real life of the camp are fascinating, too. For me, as an adult reader, there were some plot points which seemed ‘smoothed-over’ and explained away, particularly towards the novel’s end, but these aren’t things a child reader would be concerned by. I also loved the details here which hint at other books – the child/daemon connection from His Dark Materials which is echoed in Moll and Gryff’s relationship, and the touches of Aslan in Gryff’s portrayal, at times – and so the book has something to offer to its target audience and to the older reader, too. A fresh and engaging story, this book is set to become a firm favourite, and deserves its place on the shelf beside the works of Michelle Paver, Philip Pullman and C.S. Lewis. Recommended. 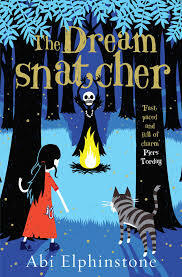 This entry was posted in Book Reviews and tagged Abi Elphinstone, book review, book review Saturday, debut middle grade novels 2015, Gryff, middle grade novels, Moll Pecksniff, Porridge the Second, Skull, The Ancientwood, The Deepwood, The Dreamsnatcher on May 30, 2015 by SJ O'Hart. I made good on my vow to devour the latest Celine Kiernan novel, dear readers. It is entitled Resonance. It is… well. It’s fair to say that it’s somewhat beyond description. It’s like all the best bits from a variety of genres, mashed up together into a seamless whole, which has left me utterly bereft at its passing. Oh, and also, it has left me in search of a new career, for I will never write anything half as good as this book. I have, officially, given up the mantle of ‘writer’. 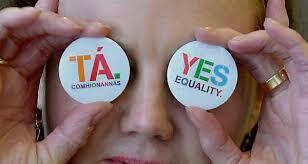 I am not fit to blot Celine Kiernan’s ink nor sharpen her quills, and all that. I’m thinking of retraining as an organ-grinder. But now for the review. I’m in a muddle as to how to even begin to describe this book. It has a bit of everything – mystery, suspense, Gothic horror, the supernatural, science fiction, historical fiction, romance – and yet it’s more than any of this. It is, very resolutely, itself, and it sits just outside of definition. If this makes it sound like a mess, then forgive my muddled prose, because it most assuredly isn’t. It’s a complex story in the hands of a master craftswoman, and it’s utterly absorbing. It’s the late nineteenth century in Dublin. Two young people, Tina and Joe, who have been friends since their earliest days, are hard-scrabbling their way through life using whatever talents they possess. Tina is a seamstress who makes costumes for the stage and Joe is a cab-driver with big plans for his future, and Tina’s. Into their lives stumbles a young man from New York named Harry, who is in Ireland to ply his trade as a magician, and finds himself at a loose end when the theatre he’s engaged to work at cancels his string of performances without notice. They encounter a wealthy benefactor named Lord Wolcroft and his mysterious coachman, and soon the three young people find themselves kidnapped, removed from their lives in the theatre district of a run-down, tenement-infested Dublin, and spirited away to a snow-bound mansion in the Irish countryside where an assortment of strange individuals live: Raquel, a woman who lives through, and for, her dolls; her ‘living’ children, who are a pair of characters I will never forget; Luke, the groundskeeper, and the villagers, who greet the returning Wolcroft with something akin to hunger. Something very strange is going on in this manor house. People do not age; adults obey the cruel instructions of a pair of savage children; snow and ice keep the house locked in perpetual winter; strange lights glow far beneath the surface of the frozen lake. And beneath the house, deep in the cellars, a Bright Man lies captive. Uncovering who (or what) this Bright Man is, what his strange power over the house and its inhabitants is and why he appears differently to different people, is one of the strands of this novel. Another is Tina and Joe’s story, which shows them willing to sacrifice anything for one another, their love – so long left unspoken – finally coming to the fore. A third is the story of Harry, itself so pleasing and with so many ties to reality (I don’t want to give away his identity here, but suffice to say that his depiction gave me great joy). A fourth is the relationships between the people who live in Fargeal Manor – Raquel, Cornelius (also known as Lord Wolcroft) and Vincent, along with the absent Matthew and the terrifying children – and how they interlock. Learning about their history with one another, the ties that bind them through the centuries of life they should never had lain claim to, the pain of Matthew’s loss (and his eventual fate), and what drives them is absolutely fascinating in its own right, and it’s a testament to this novel’s strength that, here, it’s only one immense plot thread among many. The settings are perfectly described (the theatres so real you can smell the greasepaint, and Fargeal Manor so convincing that you look up from reading and half-expect to see the grinning children standing in front of you), the plot is never anything less than gripping, and the characters – particularly Cornelius, for me, for reasons I can’t even describe – burrow into your mind. Even though you’re reading about fantastical events and set-pieces which are beyond the realms of reality, every word rings true and believable. Every page saw me hungry for the next. The ending is perfect. There are shades of (good) Anne Rice here, and also hints of classic (by which I mean nineteenth-century) science fiction. The book is dark, at times terrifying, and even though it’s a story about three teenagers (Joe, Tina and Harry are all in their late teens), it’s really not a YA book, which is what I was expecting. In fact, this book confounded all my expectations. I thought I was getting a supernatural romance (and I did, in some respects) but in so many ways, the book isn’t even about its teen protagonists. The book is about life, and what you’ll do to preserve yours just as it is, and it’s about greed, and hunger, and the terror of change. It’s about sacrifice and self-loathing. 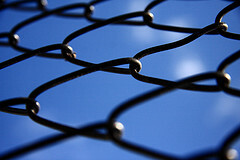 It’s about love, but not just in the sense of romantic love – love of one’s friends, family, home. Love of one’s soul. It’s about religion, metaphysics, science, the mind, and magic. It’s about cruelty. It’s about the interplay between wealth and want, the landed gentry and the starving Irish poor, the Colonies and the home countries. It’s about corruption and decay. It’s the best book I’ve read this year. I just can’t give it any higher recommendation than that. Brava to its brilliant author. 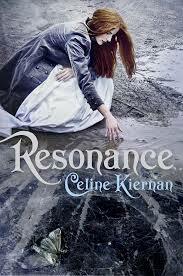 This entry was posted in Book Reviews and tagged book review, book review Saturday, Celine Kiernan, Cornelius, Fargeal Manor, Gothic horror, Irish Gothic horror, Lord Wolcroft, O'Brien Press, Resonance, The Bright Man on May 23, 2015 by SJ O'Hart. I took a notion, as we say in Ireland, to read this book again during the week. 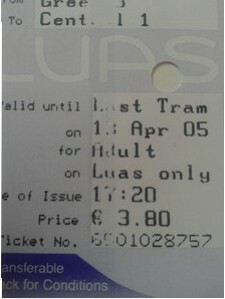 As I devoured it, I found an old tram ticket which I’d used as a bookmark the last time I’d read it, and it was dated almost exactly ten years ago – April 2005, to be exact. Somehow, this seemed fitting. This is the sort of book which should be read over and over, because it has different meanings and resonances at different stages of your life. I first read Margaret Atwood’s The Handmaid’s Tale in college, as part of my undergraduate English degree (on an amazing course which took in books by Jeanette Winterson and Angela Carter, as well as several from Atwood including my all-time favourite, The Robber Bride), which means I’ve read it three times in total over the past fifteen years. Ten years ago I was undertaking my PhD, and I was in my early – *cof* – mid twenties, living a dream life of independence and freedom in my capital city. This time, I find myself married, and with an entirely different (yet somehow very fulfilling) life from the one I imagined I’d have. As a woman, this means reading this book through several prisms of ‘femininity’, and it made an already fabulous book even better. It’s a landmark feminist text, but it says a huge amount that it’s also an Arthur C. Clarke Award-winning novel; feminism aside, it’s primarily an absorbing story about a future dystopia, a nightmare of SF, a terrible vision into a possible future. Set, probably, sometime in the 1990s (the book was written in 1985, and the main character describes herself as having been a ‘child’ in the 1970s), The Handmaid’s Tale takes us through the life of a woman known only as ‘Offred’ – or, ‘Of Fred’, which marks her out as the property of her ‘Commander’, whose name is Fred or Frederick. She is a Handmaid, forced to wear scarlet robes and a red-and-white headdress, whose primary function in life is to act as a ‘brood-mare’ to a powerful man. This man (the Commander) is married, but his Wife – the role takes an initial capital letter at all times – is, for unknown reasons, unable to provide him with a child. Women, in this world, belong to several ‘groupings’ – Handmaids and Wives are two of these, along with Daughters (natural daughters of the Commanders) and Aunts (women whose role it is to train the Handmaids and keep them in line). There are also Marthas, who act as domestic servants, and Econowives, women who are married to lesser-ranking and poorer men and who have to fulfil multiple roles simultaneously. Men belong to equally strict segregations, including Angels (armed militia), Eyes (who patrol the morality of their fellow citizens, doling out harsh punishments as necessary), Guardians (lesser Angels) and Commanders. It is a world of no flexibility, no freedom, no comfort and no autonomy, where the threat of being deported to ‘The Colonies’, a certain death sentence, is always hanging overhead. Women have no power, not even Wives, whose influence is entirely illusory and granted to them by their husbands as a ‘sop’ – and, accordingly, their treatment of the women beneath them can be vicious. But the greatest tragedy of Offred’s life is that she wasn’t born into this world – the post-revolutionary ‘Republic of Gilead’, as it’s known. She was born and grew up in the United States, where she had a normal life including a husband and a young daughter, all of which she lost once the ultra right-wing power structures took over after a military coup. 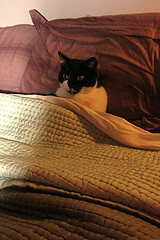 She knows what it’s like to live freely, to have her own job and her own income, and to choose whom she wishes to love. She knows how it feels to have a child and have her taken from you, a fate she’s facing again if she falls pregnant by the Commander. Her life in Gilead is a mental and physical torture. The story seems narrated ‘after the fact’ by Offred, but even so the tension and terror of her life comes through very clearly. She is under control all the time, whether it’s an Aunt or a Wife or her Commander or an Angel keeping her down, or indeed one of her fellow Handmaids – for they must always go about in pairs, in order to keep an eye on one another. She is constantly on the lookout for her husband, Luke, of whose fate she knows nothing, and for her lost daughter, trying to tell herself they are still alive. She knows her ‘time’ is running out – if she doesn’t deliver a child soon, she will be declared an ‘Unwoman’ and killed – and she struggles with suicidal thoughts at several junctures in the story. Her status dictates that she can’t refuse her Commander anything, so when he begins to make unreasonable demands on her – demands which place her life in grave danger – she has no choice but to comply. Add to this her Commander’s Wife’s desperation for a baby, and the implication that she knows what has happened to Offred’s daughter, as well as Offred’s need to find out what happened to the other Handmaids she trained with and the complicated feelings she develops for Nick, her household’s chauffeur (which also put her life in danger), and you have a novel where the stakes couldn’t be higher. This tension is expertly maintained; the language is often soporific and beautiful, and the pace is gentle, but the terror never abates. This book is often seen as a precursor to Louise O’Neill’s recent bestseller, Only Ever Yours, and there are several similarities – the repressed society, the ‘ranks’ of women, the bitchiness and backstabbing between the groups – but the books differ in several major respects. Most notably, The Handmaid’s Tale is far more body- and woman-positive, despite everything, than Only Ever Yours; Offred is never seen to hate her own body for how it looks, or shown as feeling inadequate or incomplete. She has a sensual side which she does her best, within the bounds of her society, to express, and she never loses touch with her own sense of herself as a woman. She is, despite everything, not ashamed of herself or her body, and even though she’s shown deliberately not looking at herself as she gets dressed and undressed, I got the feeling this was more about fear she’d lose her self-control if she did so, rather than out of any sort of inability to stomach her own nakedness. The Handmaid’s Tale is a more hopeful book, in many ways, than Only Ever Yours, which may reflect the thirty years which have passed between the publication of one and the other; reflecting on their different meanings, and what this says about the real-life world we live in, is the true terror of these stories. 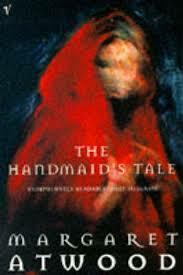 The Handmaid’s Tale is a masterwork, and it’s a book I’m sure I’ll revisit again and again as I grow older. It has something to say to every stage of a woman’s life – but this isn’t to say it’s a book that only women should read. It’s a vital story for everyone, particularly those interested in ideas of liberty, autonomy and equality between races and sexes. It’s one of the best books I’ve ever read, and I’ll always be grateful to have been exposed to it first as a teenager – and that it’s still a book I find compelling as I draw close to middle age. This entry was posted in Book Reviews and tagged Arthur C. Clarke Award-winning novels, book review, book review Saturday, classic feminist novels, feminist dystopian novels, Gilead, Louise O'Neill, Margaret Atwood, Offred, Only Ever Yours, The Handmaid's Tale on May 16, 2015 by SJ O'Hart. Simply because of the sheer ridiculousness of this news story, and how it made me laugh (nervously, while pulling at my hair and growing increasingly wild-eyed), I’m posting this image on my blog today. Don’t you dare cover your eyes. Pablo Picasso, ‘Women of Algiers’, 1955. The most expensive painting ever sold at auction, as of this week? Amazing. 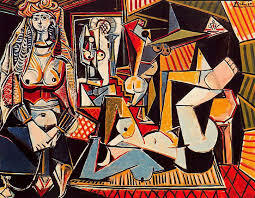 I love Picasso’s work, and if I had one hundred and whatever million dollars to spend on art, I’d probably spend it on something like this too, breasts and all. The very idea that someone would blur out pieces of a masterwork because they’re deemed ‘offensive’ just… offends me. Particularly when they’re representative of parts of a woman’s body, which means they’re close to my own personal heart – in more ways than one. Unless, of course, the whole thing has been a symphony of genius on the part of Fox News (as unlikely as that sounds), who simply wanted to stir up controversy and keep themselves relevant. Maybe. I think that’s what I’ll hope for, because it’s preferable to thinking that sixty-year-old painted breasts on a Cubist representation of a woman are too offensive to be shown on a TV screen. It’s not just me who thinks this is utterly bonkers, right? I’m not the weird one here? Actually, you know what – I think I’ll go and set up an island Utopia somewhere. Freedom, tolerance, acceptance, peace, and free cocktails on Fridays. Who’s with me? This entry was posted in Musings and tagged art, censorship, Cubist masterpieces, Fox News, masterpieces of art, Pablo Picasso, The Women of Algiers on May 15, 2015 by SJ O'Hart.